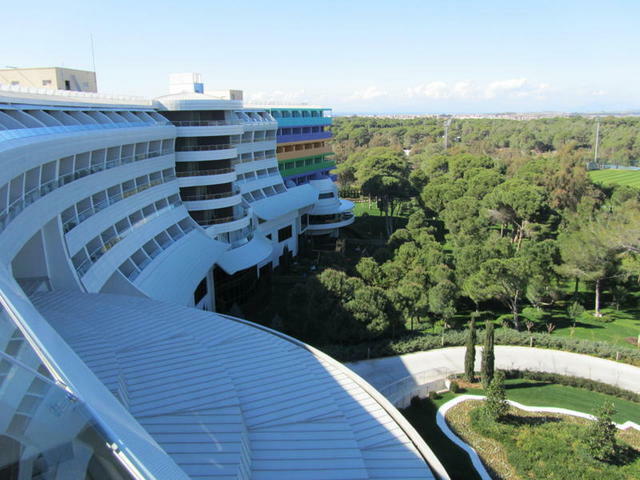 Our first round in Turkey was at the excellent Carya golf course based on the classic heathland courses in the UK. 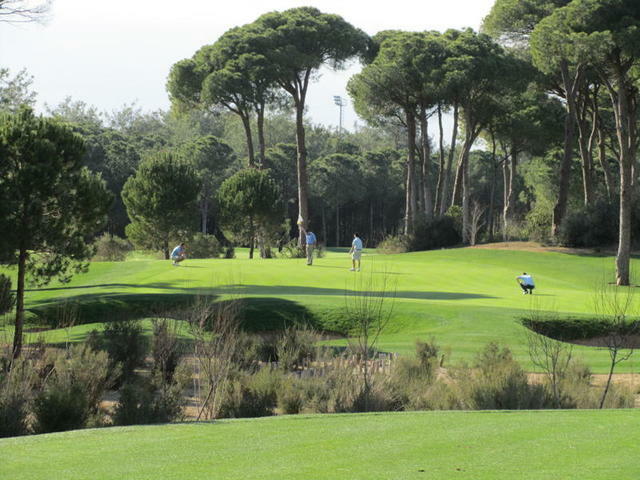 More than one million heather plants have been used to give the course its distinctive look. We played an individual Stableford and an aggregate Stableford where each player in the fourball played six holes with the other three players. Robbie Mabb won the individual with an excellent score of 35 points. The aggregate was shared by Robbie Mabb and Giles Legg with 65 points. A Parkland style course, much shorter but very tactical, with sharp doglegs and good use of water. We played nine hole matchplay games within our fourballs where the two winners and two losers played each other on the back nine. To add spice and to concentrate on ‘finishing’ games, the last two holes on each nine were worth double. The winner was the player who was the most up after eighteen holes. Dean Barnes finished 5 up to win the day. 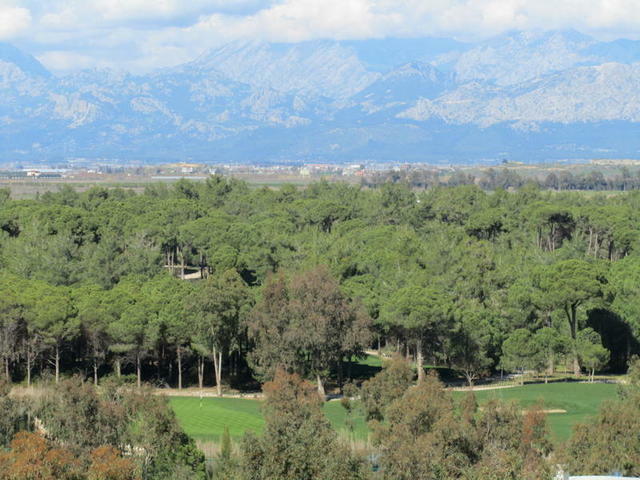 An incredible 27 holes of golf winding through mature umbrella pines and large lakes, surely one of the best courses in Europe. We played an individual Stableford with an added point for hitting the fairways, greens and getting up and down for par. This format provided us with some interesting results, straight drivers really benefited. Tom Leech ran out the winner with 34 points modified up to 53 points. The ninth hole on the Gaius provided us with a very stern test. A 500 yard par 4 with water either side of the fairway, then a second shot to a large undulating green with a lake cutting in on the right. This hole will be the 18th when the Eisenhower Trophy is played here next year. We played the nine hole matchplay format again with Kevin Robinson winning with a 6Up total. 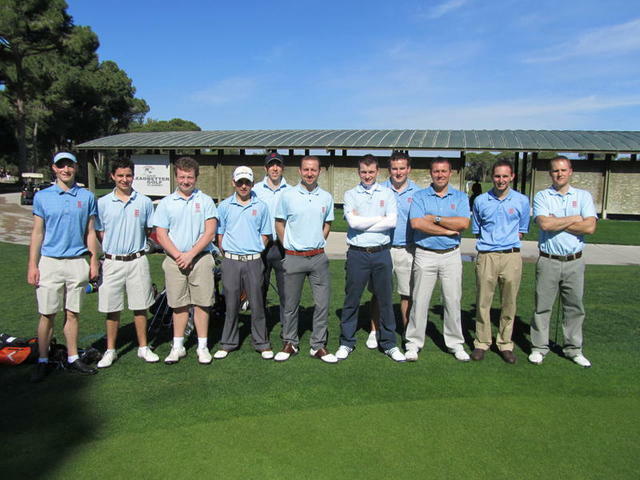 For our last round we again played a modified Stableford, with the scores on the last three holes being doubled. Again this was designed to concentrate the players on those most important last few holes where matches are won and lost. A Stableford point was also subtracted for a 3 putt. Robbie Mabb notched up his second win with a very good 34 Stableford points adjusted up to 40 points. 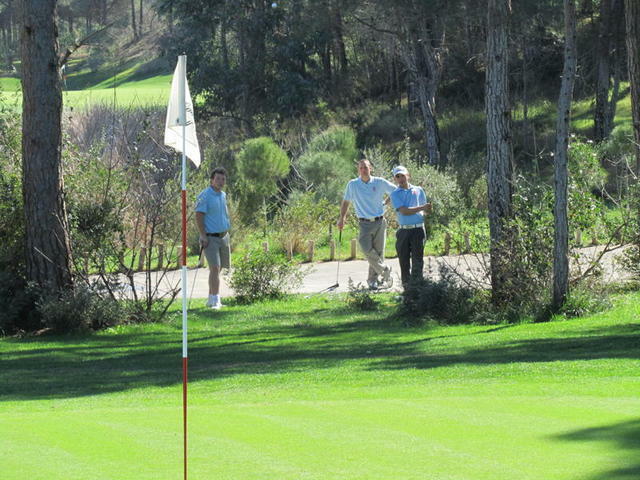 Every day, as well as practising our long game, we held short game competitions. 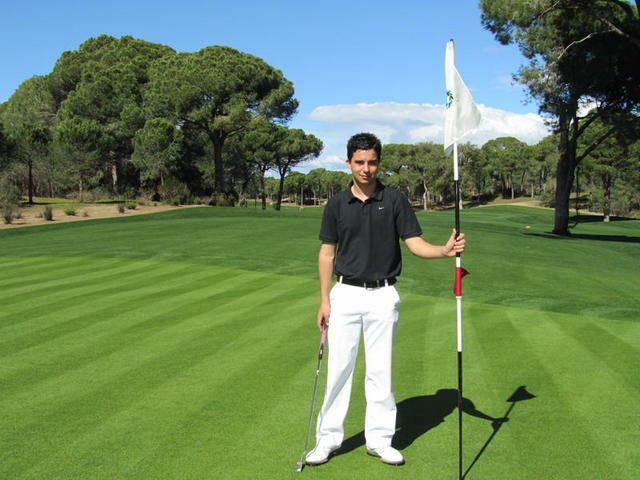 These included putting, chipping, pitching and bunker play. The competitions were both individual and team based, matchplay and point based. This gave the players a chance to work together as a team which helped indicate potential pairings, and to compete against each other exposing strengths and weaknesses. The Cornelia Golf Club had wonderful short game facilities with a large contoured putting green, a smaller pitching green and an amazing chipping green surrounded with bunkers, semi-rough and deep rough. A large tree with a v-shape also gave scope to some interesting shots. 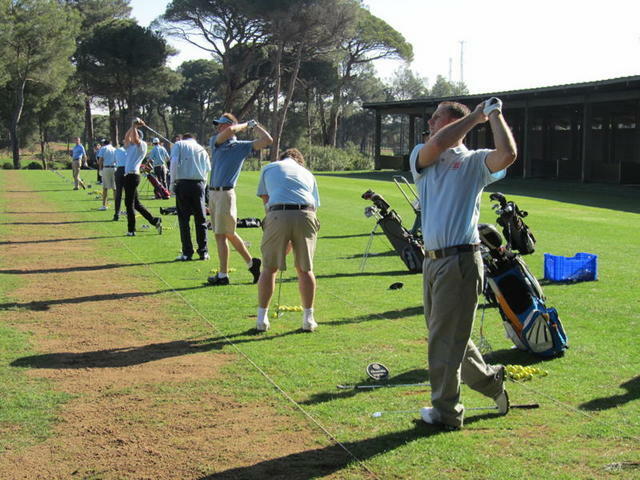 Martyn Thompson did a great job setting up shots to test every aspect of the short game. All of the players possessed a good level of skill, but the tests highlighted the need for more imagination with club selection. It is possible to chip with a 5 iron! I am sure that the squad all know what to work on now they are back home. I just wish there were better short game facilities for them to use at their home clubs. Finally I would like to thank our kind sponsors, without whom this training trip would not have taken place. I know all the players really appreciate your contributions, and I am sure their play will benefit from the excellent facilities.